full line of repair services. maintenance for all types of facilities both large and small. place using the latest design ideas and techniques. driveways, and anywhere a homeowner wants to add light. Whether it’s a minor change or a major overhaul of your yard and land, customized landscaping adds tremendous value to your home. By creating the outdoor spaces to share family moments your property will take on an entire new look and feel. From lawn service to landscaping, from outdoor landscape lighting to water features (bodies of water), Cochran Landscape is your complete landscaper. Our top services involve reshaping your terrain or landforms, beautifying your lawn, landscaping, and landscape designer services. No project is too large or small. Call us today at or fill out the form above to schedule your FREE estimate! Let our designers show you what’s possible for your home today! Proudly serving Greenville, Easley, Simpsonville, Greer, Seneca, Clemson, Salem, Piedmont, Liberty, Spartanburg and the surrounding communities. Part of our design process is to make the maintenance and care of your property simple and effective. Rest assured, we’ve got you covered from understanding your topography and soil qualities to adding the perfect native flora. Our highly experienced landscape designers will help you map out a terrific new look that functions great, looks great and is a snap to maintain! To keep your property looking great we provide an entire solutions for Lawn Care. We use people and pet friendly fertilizers, weed killers, and the latest technologies to keep your home the envy of the neighborhood! Irrigation Systems make Lawn Maintenance a snap! Your custom designed and installed irrigation system will keep your new landscaping looking and functioning great. South Carolina weather can put high demands on our landscape. By utilizing a custom irrigation or sprinkler system you’ll take out a potential headache and replace it with an efficient effective way to make your home look great! Need Irrigation System Repair? Call Today! 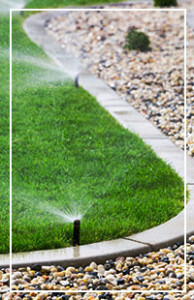 We know how important a properly functioning irrigation system is to your home. Our highly experienced Irrigation system repair specialists will be able to diagnose your problems and create cost effective solutions to get your property looking its best!